Storytel continues to put clear blue water between itself and its biggest rival, Audible, as it launches in its eleventh territory. And contrary to expectations it is the UAE, not Turkey, that becomes the second new Storytel nation of 2018. Storytel launches in Iceland. Italy, Bulgaria and Turkey next? and at the Bologna Children’s Book Fair Storytel told Publishers Weekly that Turkey would be next. so the only surprise here is the timing, given the Storytel statement to Publishers Weekly about Turkey being next. With Iceland and UAE live and Turkey and Italy launches confirmed as imminent, and Storytel having stated there would be five new territories this year, Bulgaria is now the clear candidate for the final announcement. the first audiobook subscription service launching with a focus on both Arabic and English languages, and it will be available to users in all Arabic speaking regions. I’m looking for clarification if that actually means outside the UAE or not. Storytel in UAE will start with two languages; Arabic, and English. The catalogue at launch includes thousands of English audiobooks and more than 350 high-quality Arabic audiobooks. Storytel is especially happy to present bestselling titles by Ihsan Abdel Quddous and Ahmed Khaled Tawfik for the first time in audio. Storytel is committed to increasing Arabic titles in the catalogue significantly in the coming period. The aim is to build the best and most extensive Arabic audiobook catalogue by launching at least one Arabic audiobook per day throughout 2018. 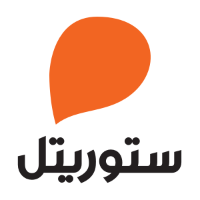 On top of that, Storytel will also introduce Storytel Original series in Arabic. These are 10 episode series written especially for audio consumption. Ebooks are not mentioned, and a quick search of the Storytel UAE site reveals none, but that is not to say there are none, or will not be some soon. There is a drop-down menu for ebook format, and I may well have simply missed them with my cursory glance. and from another Arab audio outfit, Kitab Sawti, which I embarrassingly have only recently been introduced to, but that pre-dates Dahd. I hope to have a full report on Kitab Sawti very soon. Meanwhile ITP.net confirms Storytel will be at the Abu Dhabi International Book Fair from Monday. Storytel UAE can be found here. The Storytel UAE Facebook page goes under the title Storytel Arabia.